So I'm obtaining a 73 cutlass supreme. I've known the original owner since I was 18. I have always wanted to someday get and restore the car. She never wanted to let it go until she realised she was never going to do anything with it. So now it's mine. One of my biggest concerns is that the roof is rusted through. 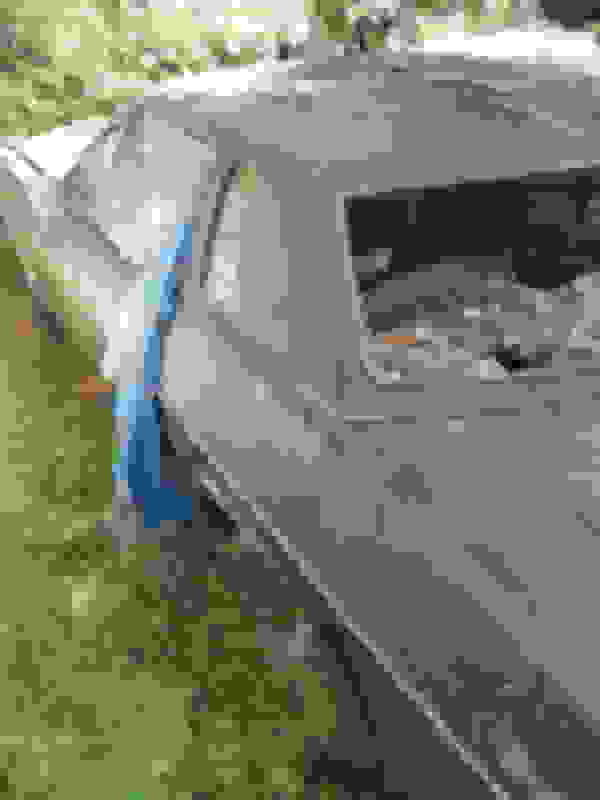 The first layer of sheet metal is 30% rusted through. From the inside of the car the roof seems to be holding. My question is it possible to get always new top? and where would be some good leads and ball park pricing on such a job. There is a good chance when you remove the vinyl the roof will be severely rusted with large holes. the top is rusted through its basically a full restoration. My question is at this point am I better of finding anew entire new top to cut off another car or is repair repatriation possible. I will upload pics when I have time. Anything is repairable, it comes down to how much $$ you want to throw at it. My 76 had a vinyl roof that I could stick my head into the car one removed. Its now a hard top. 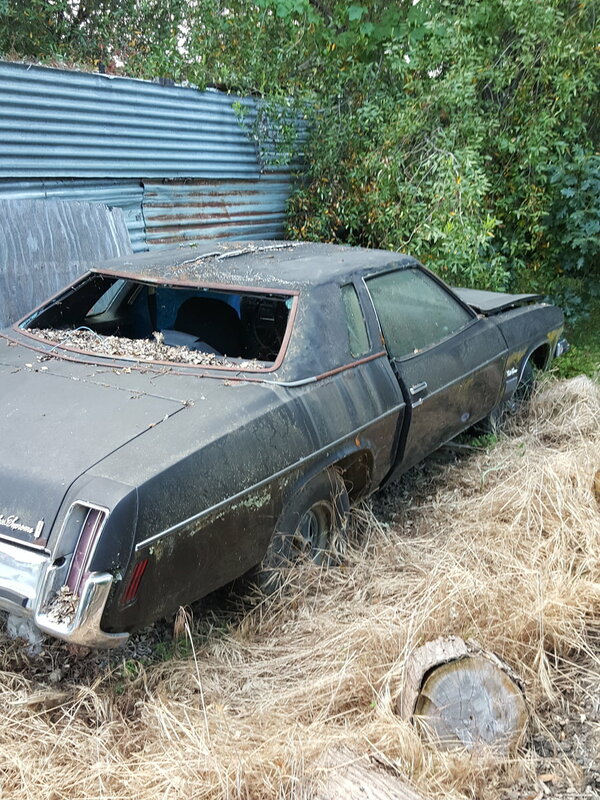 It cost me but my wife and I did it to keep it, resale would never bring back what you put into these 73-77 Olds. Post some pics when you find the time so others into body repair and the guys with experience can give you a definite answer . 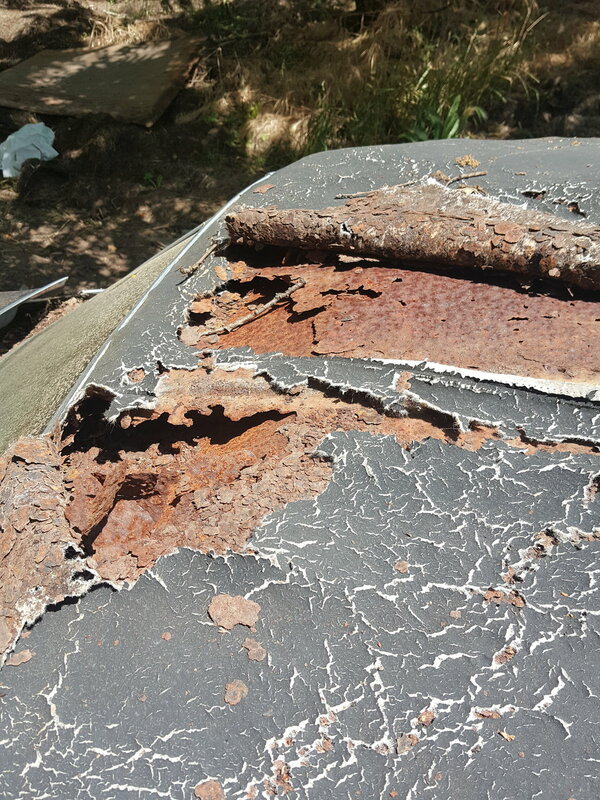 Looking at the first pic, the roof seems severly rotten by rust; not only the outer roof sheet but even the inner sheet... I would look for an entire new top. ^^^^^^^^^^^ X2 ^^^^^^^^^^^^^ You would need to throw alot of $$ to make something out of the way it sits. I would also be worried about the undercarriage considering where it was parked. If you have the $$ and want to save it, put-r-ther! Myself that would be a parts car IMO. Let us know what your considering. Yeah Eric I know it's a lot of work. I think the thing is that I've had my eye on this car for so long that when I finally got it. I'm just trying to make it happen. This will be a long process and I'm sure when it done I will have put in 3 or 4 times its resale. I don't mind that. 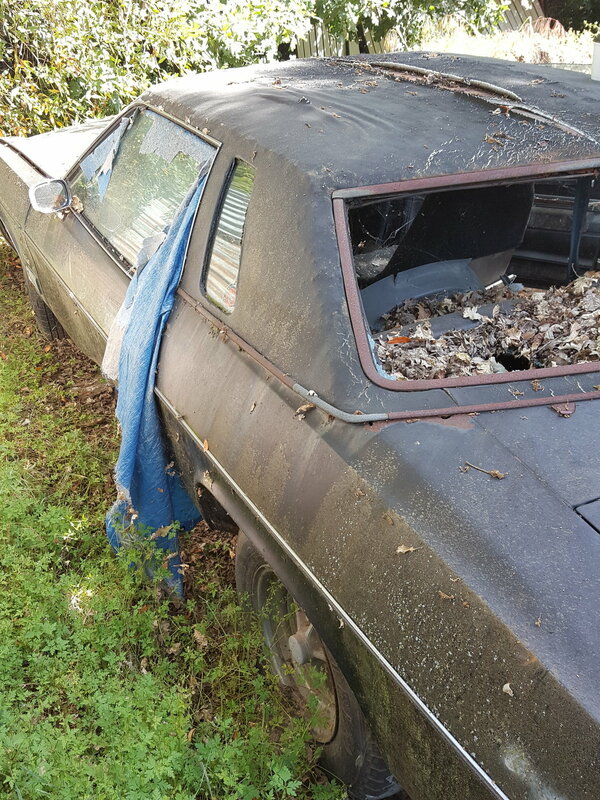 Is there anything I should look at on this car to be a major red flag that would make restoration near impossible? I have to applaud you for wanting to take on such a project. I took one on myself with my current 76. The 73-77 frames are pretty solid unless sitting on damp ground for years. I would be more concerned with the rot around the windows, inner rear and outer fenders ,under the hood around lower windshield areas and all the tight areas that are next to impossible to repair without some serious chopping. Also, The 73-77 engines don't make much HP unless you swap heads, pistons, rear gears etc, that is an investment on its own. Its all in what you would like in an older car. Are you just looking to have a mild mannered stockish engine with a cut and paste body or are you looking to make it much more than what rolled off the factory line. I'm happy you joined here, you can learn so much on this site. So many guys will help you make the best cost effective decisions once you know what you would like from the 73 in ?. Could you elaborate a little on what you would like the car to be if purchased? At that point perhaps some of us could let you know what you will be into Dollar wise to get it ther. So basically my goal here is to get this car in running condition. I'm not looking to turn this car into a show car. This is my first old school car. So I am a learner I do have quite a few car enthusiasts who are willing to show and help me on this journey. Overtime I want the car to look nice, run properly, and eventually down the line I may want to install a larger engine. 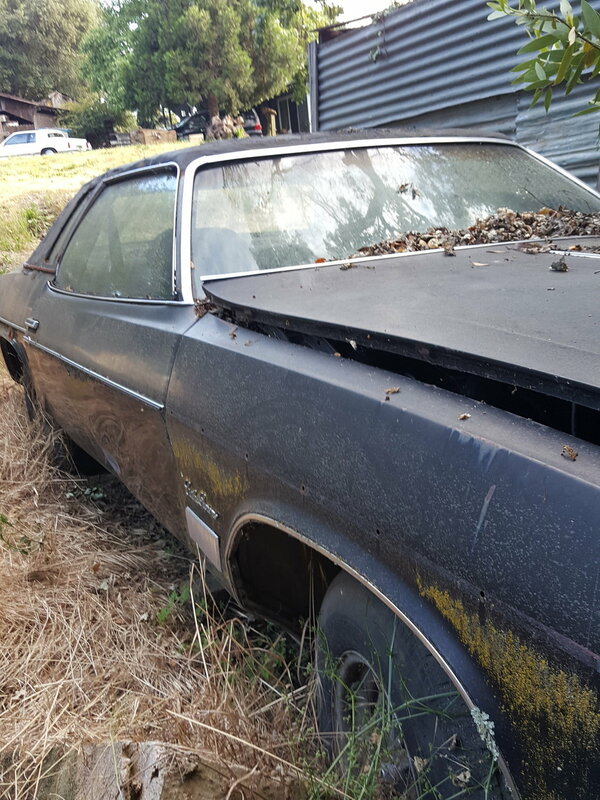 Quick Reply: 1973 cutlass supreme vinyl hard top question.